The idea is simple but essential. A pin brush on one side to tease out snarls and tangles -- a bristle brush on the other side to finish and bring out the shine in the coat. 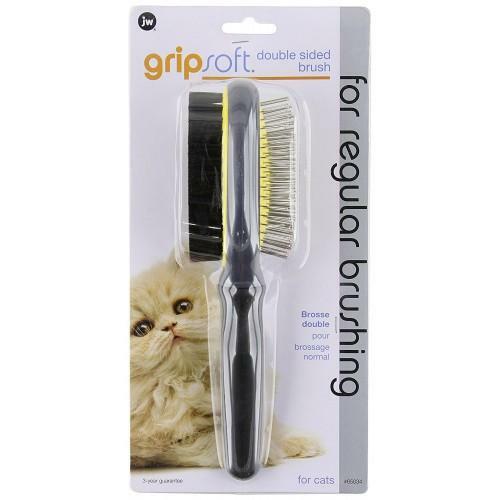 The non-slip, ergonomically designed handle is so comfortable it makes grooming a more pleasurable experience for both of you. Clearly, this was intelligently thought out.